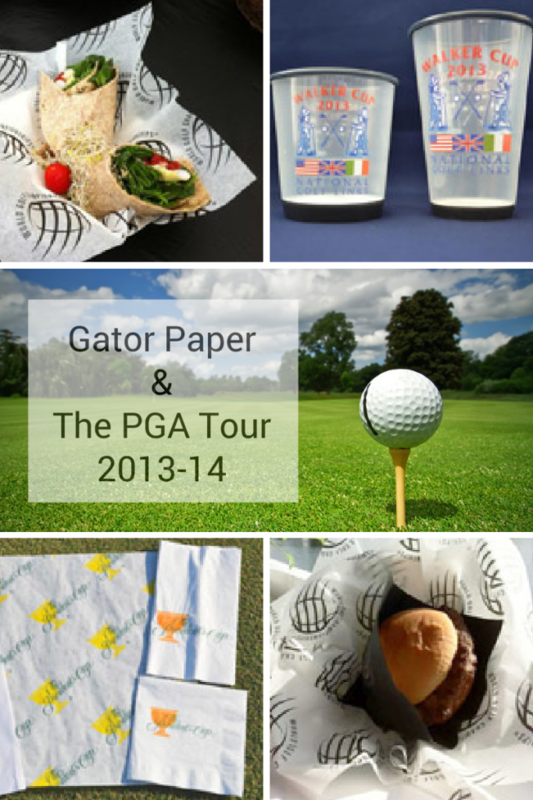 Gator Paper has had the privilege of supplying the PGA Tour with custom printed food service products. It’s been our pleasure to partner with this brand giant to promote their corporate identity through our high quality printed products. 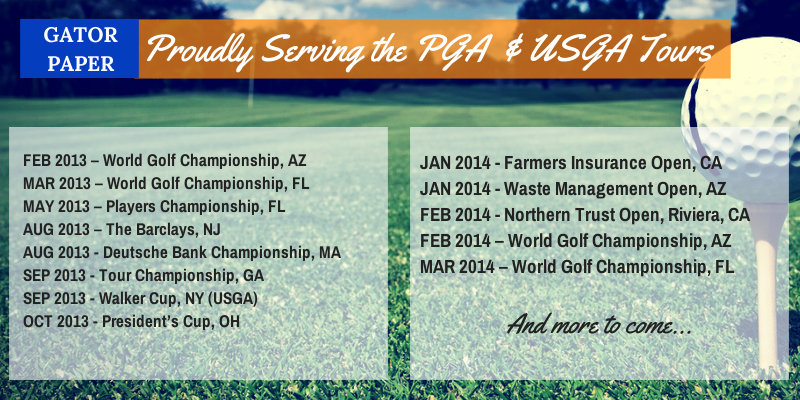 Over the years, we’ve served the PGA Tour with a variety of food service items, including: hamburger and hot dog wraps, hamburger and hot dog bags, food basket liners, cups and napkins. Extending your brand into the stands with custom printed products makes sense for sporting events everywhere – whether you’re the PGA or a high school football team. Not only do printed food service items reinforce your team’s identity, but they also serve as an opportunity to create a stronger, more attractive sponsorship package. You can add value to your sponsor’s dollar by branding their logo on your concession supplies. This will effectively increase their frequency of valuable customer impressions. More Individual Impressions = Greater Brand Recognition. Imagine the premium your team could charge for this unique sponsorship opportunity. With our record-breaking low minimums, you can order exactly what you need and boost your sports team’s sponsorship revenue. Contact Gator Paper today to see how they can help you EXTEND YOUR BRAND INTO THE STANDS!